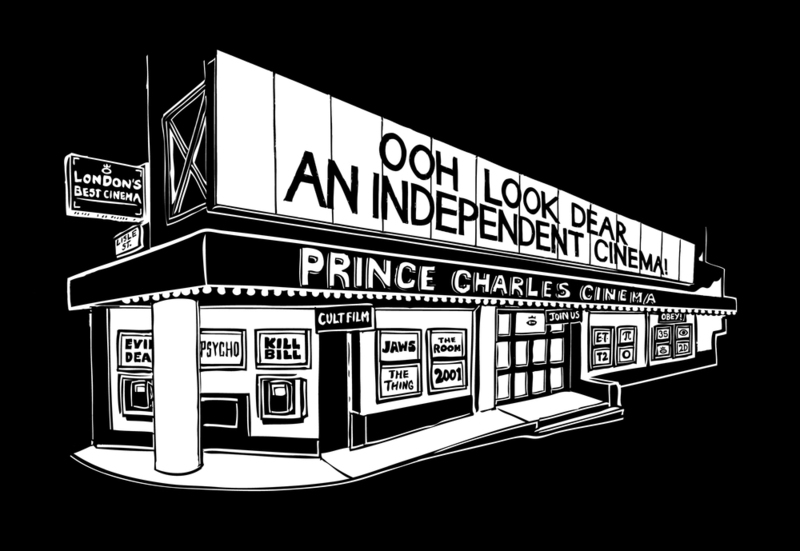 The first of a new series – casual venue reviews of independent cinemas I visit. 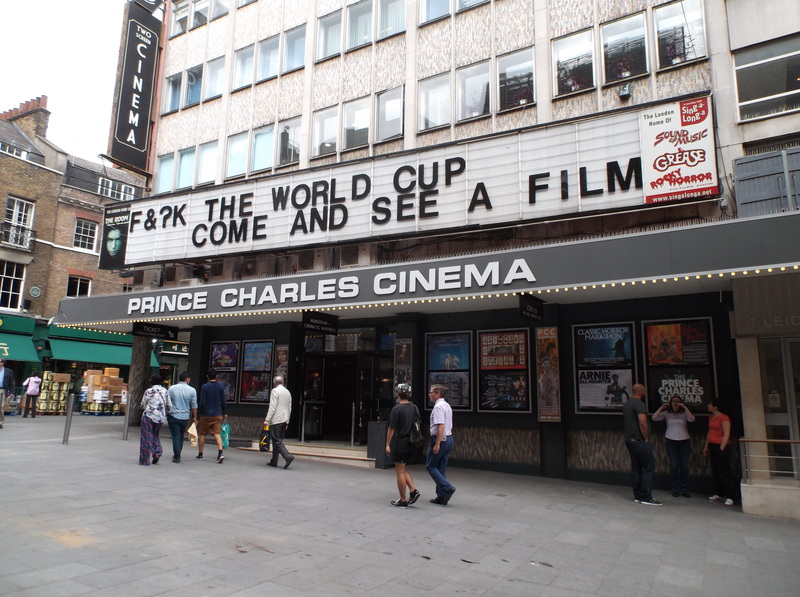 The charming Prince Charles Cinema offers an antidote to the overpriced commercial wasteland of clone-like cinemas in and around Leicester Square. Having once been foolish enough to pay £15 to see a film at Leicester Square’s Vue the £8 tariff of the PCC was a welcome surprise. The PCC has a habit of blazoning humorous slogans on its frontage, sure to draw a chuckle from any cinephile. A quick walk around the exterior and a trip down to the bar (sadly not open during my daytime trip) will clue you in on current programming as posters adorn many of the walls. And what a programme. The PCC screens recent independent and world cinema, currently including Studio Ghibli’s The Wind Rises (my choice) and Wes Anderson’s The Grand Budapest Hotel. The PCC’s real speciality, however, is in cinema experiences a little out of the ordinary. You can expect sing-a-longs of classics and recent hits such as Grease, Frozen and Pitch Perfect, frequent Mean Girls quote-a-longs, curated seasons and movie marathons. To give you a taste, this summer’s line up includes a Woody Allen ‘selectospective’ and a We ❤ John Hughes season made up of some of my personal favourites. The PCC has quite possibly the comfiest cinema seats I’ve yet to grace with my presence. They’re a great deep purple colour, incredibly padded and kind of rock back a few degrees. I’m not sure why this is good, but it definitely is. Plus they have stepped flooring to tier the seats so you can always see over the heads of those in front without missing out on an inch of the screen. You can pick up out of date posters for free at the Box Office if you’re there at the right time, both those made by the cinema and distributor quads and one shots. There’s free beer with some tickets. This entry was posted in Venue Reviews and tagged Ferris Bueller's Day Off, Frozen, Grease, John Hughes, Mean Girls, Pitch Perfect, Planes Trains & Automobiles, Pretty in Pink, Prince Charles Cinema, Studio Ghibli, The Breakfast Club, The Grand Budapest Hotel, The Wind Rises, Vue, Wes Anderson, Woody Allen. Bookmark the permalink.